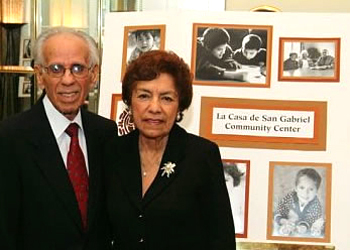 La Casa de San Gabriel Community Center was founded in 1946 by the Reverend César Lizárraga and his wife Angelita. It was during their call as pastors of the Presbyterian Church on East Mission Road in 1943, that the Lizárraga’s realized the community lacked programs to address the educational and social needs of its low income residents. Today La Casa continues to serve as a family resource center as our founders had envisioned. We continue to help economically disadvantaged children and families in their efforts to overcome the barriers of limited education, underemployment, language, inadequate housing and lack of medical care. Our history is deep, our core is strong, our mission is simple and with the continued support of our community we will continue to make a difference each day, each year, each generation.